ATLANTA, April 24, 2018 – Together with the American College of Allergy, Asthma, and Immunology (ACAAI) and the Food Allergy & Anaphylaxis Connection Team (FAACT), the National Peanut Board and actor, director and entrepreneur Justin Baldoni today announced a new video series, documenting Baldoni’s own experience introducing peanut foods to his young son, Maxwell, to hopefully prevent him from developing a peanut allergy in the future. Each video will show a different part of the story of the Baldoni family following the new peanut introduction guidelines and aims to empower new parents. The video series is part of a new website, PreventPeanutAllergies.org, designed to help parents take the first step to prevent their child from developing a peanut allergy. The Learning Early About Peanut Allergies (LEAP) study, a groundbreaking study released in 2016, showed the early introduction of peanut foods to infants could cut the risk of developing a peanut allergy by up to 86 percent, among at-risk children. The study was so significant that it led to new guidelines on the introduction of peanut foods from the National Institutes of Allergies and Infectious Disease (NIAID). In the series’ first video, Baldoni – actor, director and entrepreneur – shares his views on family, fatherhood, and preventing peanut allergies at an early age. Additional videos that follow the Baldoni family through this process will be released throughout the summer. Parents with newborns or who are expecting should begin making plans to introduce peanuts early – as early as 4-6 months of age. For most parents of infants, it’s as simple as introducing baby-safe peanut foods around 6 months of age as often as they’d like. 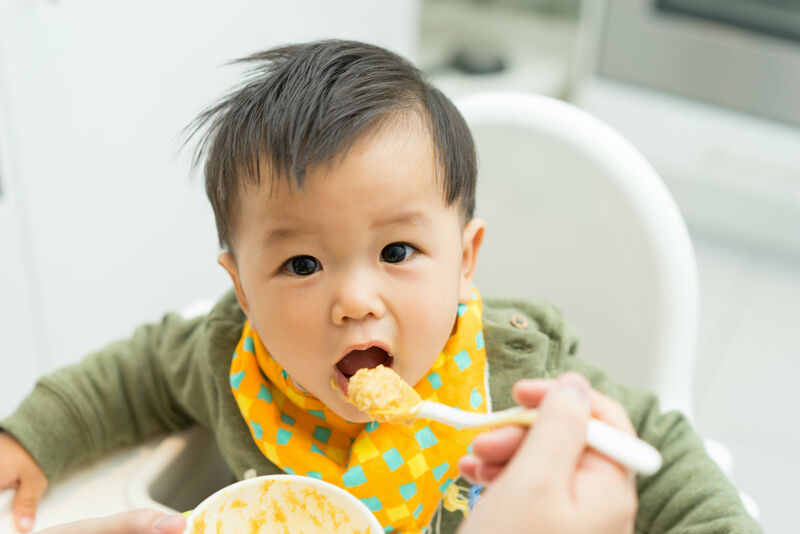 Children with severe eczema or an egg allergy or both, are in the “high risk” infant category and should consult their pediatrician before introducing peanut foods. The NIAID guidelines recommend introducing peanut foods to high risk infants as early as four months of age and continuing to feed it to them regularly – 2g of peanut protein per meal or snack, three times per week. Parents with questions or who are looking for more information on feeding peanut foods to their baby should visit PreventPeanutAllergies.org to learn more or discuss with their healthcare provider. Click here to download the informational flyer. The National Peanut Board’s mission is to help improve the economic condition of USA peanut farmers and their families through compelling promotion and groundbreaking research. We’re working to remove barriers to consumption and advance food allergy progress. The Board has funded more than $21 million in food allergy research, outreach and education. For more information, visit NationalPeanutBoard.org.